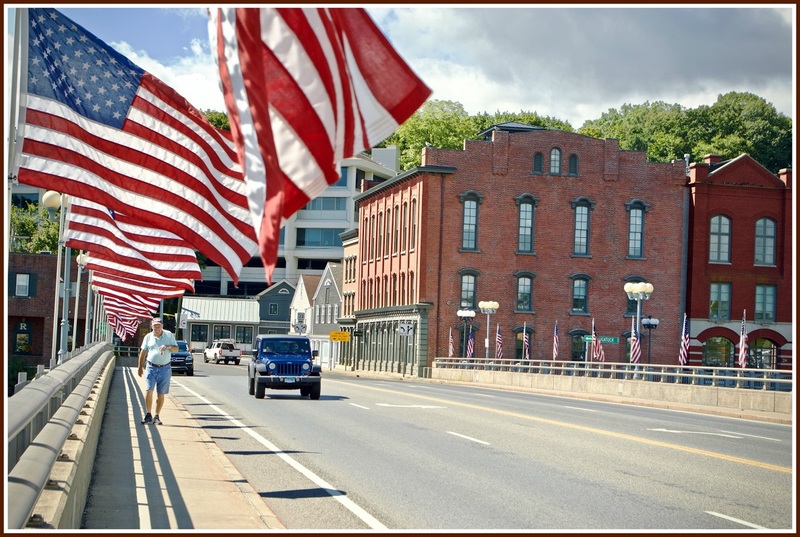 This entry was posted in Downtown, Pic of the Day and tagged National Hall, Ruth Steinkraus Cohen Bridge. Bookmark the permalink. Yup.. that’s exactly where the PRO Vietnam War demonstrators used to stand 50 years ago- all ten of them! I’d would love to see these flags fly every day –365 days a year!